How do I date my Rolex watch? If you have lost or have un-dated Rolex certificates the information below may be able to help you date your watch. To do this you will need your Rolex Serial Number. 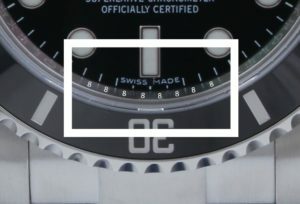 You can find your Rolex serial number on your Watch located by removing the bracelet or (depending on your model) from around 2005 onwards on the rehaut (seen by looking through the glass at the bezel below 6 o’clock.). The information provided is best-guesswork based on information gathered from unofficial sources. It is also worth bearing in mind that the date recorded on the Rolex certificate is the sales date, the manufacture date could have been some years previous. 2009 Autumn to present – Random Serials (there have also been records of G prefix serials from 2009). It is no longer possible to date Rolex watches this way. *Some American sources claim that in 1954 Rolex serial numbers restarted from 100,000 after reaching 999,999, this can explain some discrepancies. 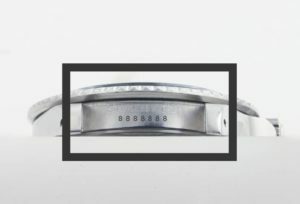 Knowing the model number of your watch can help place the correct date if you come across this.